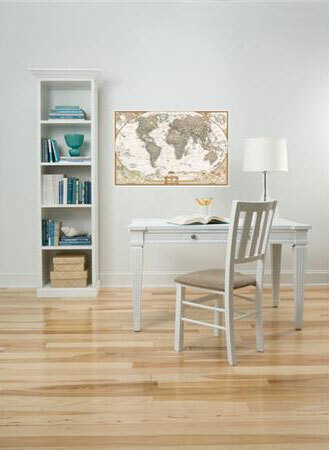 Maps are a timeless decor accent, bringing a scholarly sophistication to any space. 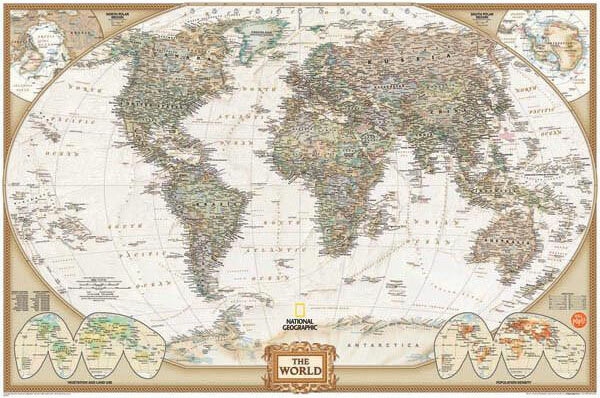 This Executive World Map decal features fine National Geographic draftsmanship and a distinguished palette of classic greens, browns and taupe. Enhance and refine the look of your home or office with this attractive peel and stick dry-erase map of the world. It also comes with a dry-erase marker for plotting travels and making business plans. This dry erase map is 61cm x 91cm and is repositionable.